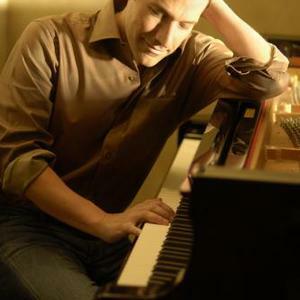 Jim Brickman (born November 20, 1961) is an American composer and pianist. Brickman is known for his solo piano compositions, which are classified as new age music. Born and raised in Cleveland, Ohio, Brickman enrolled in the Cleveland Institute of Music taking courses in composition and performance, while taking business classes at Case Western Reserve University. His music career started when he was nineteen, when Jim Henson hired him to write tunes for Sesame Street. He was also hired to write commercial jingles while in college. Born and raised in Cleveland, Ohio, Brickman enrolled in the Cleveland Institute of Music taking courses in composition and performance, while taking business classes at Case Western Reserve University. His music career started when he was nineteen, when Jim Henson hired him to write tunes for Sesame Street. He was also hired to write commercial jingles while in college. Jim Brickman has also starred in the now-on-DVD PBS specials "My Romance: An Evening with Jim Brickman", "Love Songs & Lullabies" and "The Disney Songbook." In 2006, he sponsored his first Jim Brickman Valentine's Day Cruise with Carnival Cruise Lines which has become an annual event.